A set of clear standards of conduct for public officials can provide a critical tool for governments to promote openness, transparency and accountability in the public sector and eventually restore citizens’ trust in government. With a view to strengthening the ethics framework, the Palestinian Authority has undertaken significant progress to implement a Code of Conduct and Ethics for its civil service. This report analyses the underlining factors of an effective Code of Conduct in the overall framework of public governance reform to build open and transparent institutions. The report traces the evolution of the code from the first draft to the adopted document and discusses the final version against OECD recommendations and international good practices. The report provides actionable policy recommendations to operationalise the code towards a stronger governance framework for public sector integrity in the Palestinian Authority. 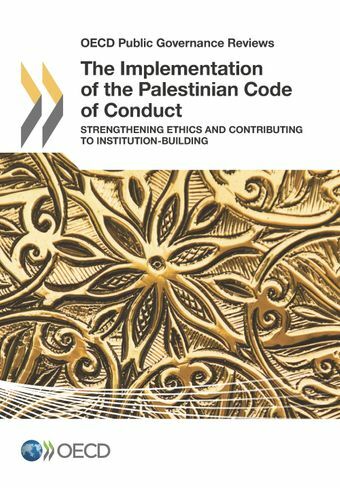 The report points to the code’s strategic role alongside other measures to upgrade the ethics framework and sets an agenda to drive effective implementation in line with international principles of ethics and open government in the Palestinian Authority.